Picking the right materials for your space can be a challenge. There are so many decisions to make! 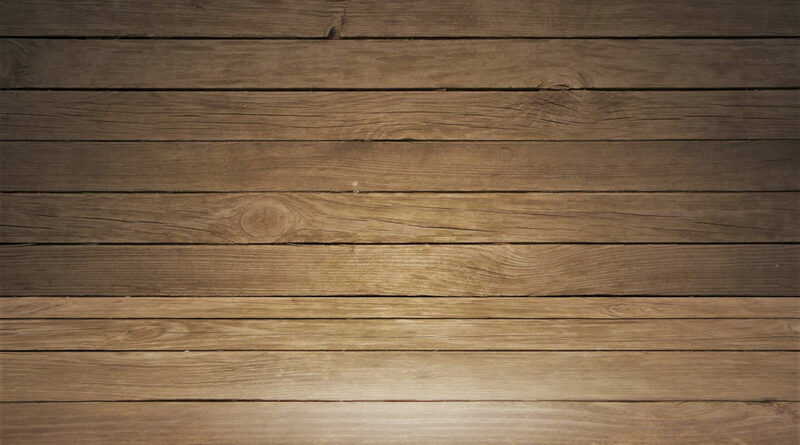 Real wood or laminate? Paint or wallpaper? Stone counters or solid surface? In the “Material Guides” section, I’ll be sharing all options with you and helping to make the selection process a little bit easier. Flooring is important. It gets the most use of any material in your home. Each room has different needs as well. In the living room you may want cozy carpeting while in the kitchen you need something easy to clean. 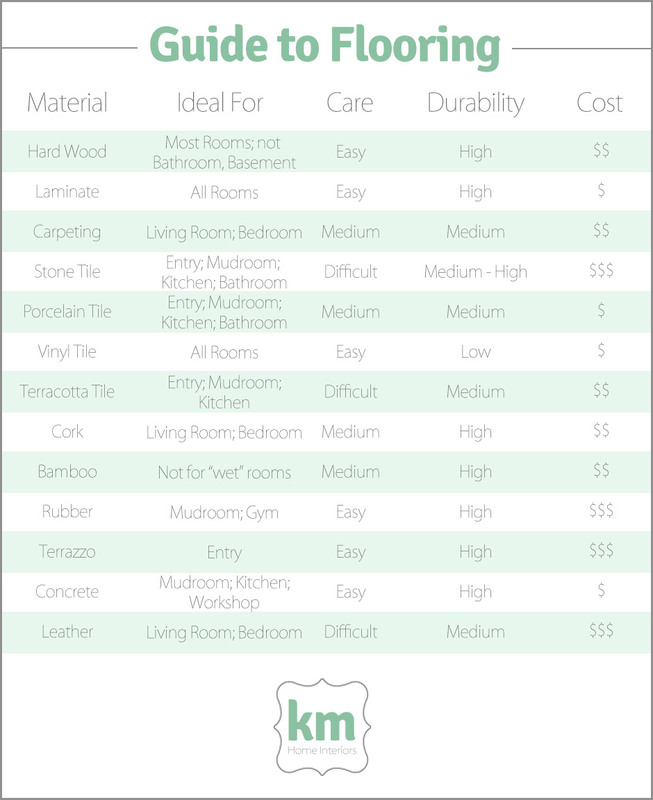 Below is an simple chart outlining some common flooring options. In the coming months, I’ll be doing comprehensive guides to each material listed, so be sure to look out for those! Ideal For is the best location in the home for each material. Care is ease of keeping the material clean and cared for (does it need yearly sealing? That would make it “difficult” to care for). Durability is how long you can expect the material to last on average and with proper care (low = 1 – 3 years, medium = 3 – 5 years, high = 5 – 10+ years). Durability is affected not just by how long a material lasts, but how resistant it is to staining, fading, chipping, or cracking. Cost is based on the average cost of the material, per square foot, and in relation to other materials. For something like stone tile, where there is a wide range in price depending on type of stone selected, I went with the average cost for the highest end stone, putting it in the $$$ slot.